The National Hockey League (NHL®) announced the 2019 NHL All-Star Weekend, hosted by the San Jose Sharks (@SanJoseSharks) and the City of San Jose will take place Jan. 25-26, 2019, and will include the NHL All-Star Skills Competition™ at 9 p.m. ET/6 p.m. PT on Friday, Jan. 25 (NBCSN, CBC, SN, TVAS), and the NHL® All-Star Game at 8 p.m. ET/5 p.m. PT on Saturday, Jan. 26 (NBC, CBC, SN, TVAS). The 2019 NHL® All-Star Game will be the second time NHL All-Star activities will take place in San Jose. The Sharks previously hosted the NHL® All-Star Game in 1997. "We are thankful and thrilled that the National Hockey League has decided, once again, to bring one of its premier events to San Jose," said San Jose Sharks Co-President John Tortora. 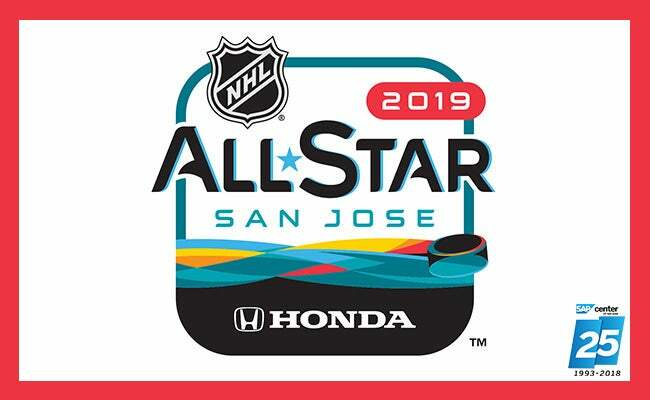 "NHL All-Star Weekend is for our loyal and outstanding fans, who have eagerly anticipated the return of this event, and for the city of San Jose as the hockey world descends to shine an international spotlight on our great city. NHL All-Star Weekend represents the third in a string of League events coming to the South Bay over a four-year period, including the Stadium Series outdoor hockey game in 2015, the Stanley Cup Final in 2016, and now the NHL All-Star Weekend in 2019." "We look forward to welcoming the world's greatest hockey players to San Jose for the 2019 NHL All-Star Game," said Mayor Sam Liccardo. "On behalf of our entire city, I look forward to working with the Sharks and the NHL to create a special experience for the thousands of rabid hockey fans who will be in San Jose for this marquee event." "All-Star Weekend brings the NHL family together in celebration of our sport," said NHL Commissioner Gary Bettman. 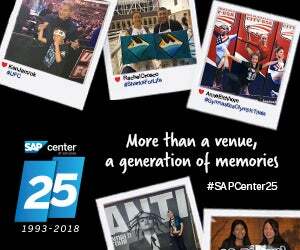 "Our players, our teams, our fans and our partners gather around a number of very special events and activities, and our host city steps into a bright world-wide spotlight. In 2019, our stars will display their skills and the City of San Jose, SAP Center at San Jose and the Sharks will showcase their hospitality. 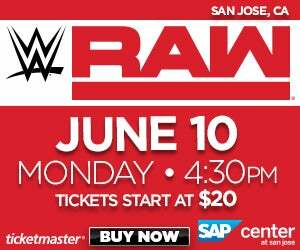 We're looking forward to a terrific All-Star Weekend in San Jose". This marks the second time that San Jose will host the league's top talent showcase, featuring the superstars of the National Hockey League. The previous event, the 47th NHL All-Star Game, was held on Jan. 18. 1997 as the Eastern Conference defeated the Western Conference, 11-7. The game is best remembered for hometown All-Star Owen Nolan's hat-trick, which featured his now famous "called-shot" third goal against Goaltender Dominik Hasek. To receive 2019 NHL All-Star Weekend updates, visit sjsharks.com/allstar.